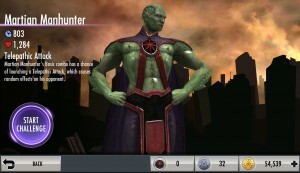 John Jones appears in the console version of Injustice: Gods Among Us as one of the two DLC characters who were released outside of the season pack. 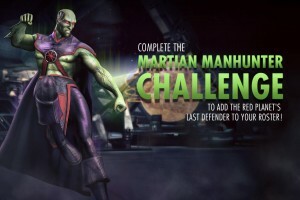 In the Injustice: Gods Among Us comics, Martian Manhunter is burned alive by Superman after taking Batman’s side and while he was attacking Wonder Woman. 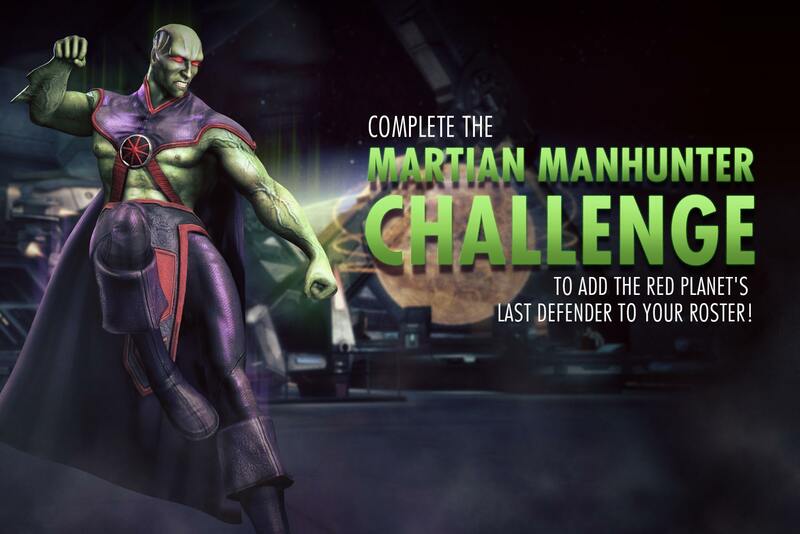 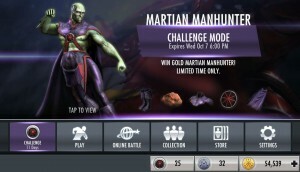 To beat this challenge you must have Bane, Sinstro and Lex Luthor on your team. 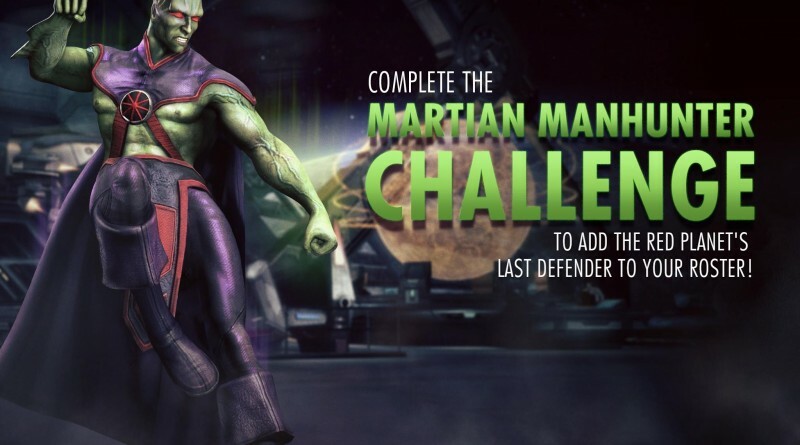 There are Bronze/Silver versions of all of them so this challenge shouldn’t be a problem even for newer Injustice Mobile players.